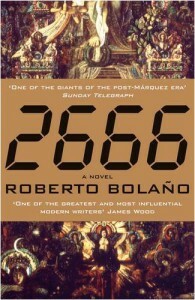 2666. by Roberto bolano Translated by Natasha wimmerThe introductionTo say that 2666 is epic or on a grand scale, would be be an understatement. It would be to misunderstand what’s asked of you. This book doesn’t just want commitment, it wants blood, wants sacrifice & even that’s not enough. It will hold your hand, take you down a blind alleyway then vanish, taking away all that you understood, all that you had grasped, all those images hoarded in the hope of finding a path through it.How do you write about a book that’s about everything & nothing, that has in it’s shadow is the whole of the 20 century? 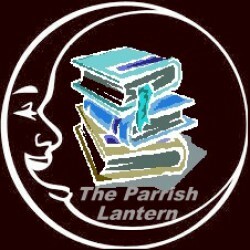 The synopsisThis book is in 5 parts, the 1st is titled The part about the critics. This follows four critics from across Europe & their shared interest in Archimboldi a post war German writer, who vanished years ago & who they are searching for, it’s also a love triangle.Part 2, The part about Amalfitano is about a Chilean philosopher living Santa Teresa (Mexico), with his daughter. The Philosopher between bouts of madness (hearing voices in his head) and worrying about his daughter, conducts an experiment based on some ideas by Marcel Duchamp.The 3rd part, The part about Fate, concerns an African-American journalist (Oscar Fate), as he travels to Santa Teresa to cover a boxing match & meets Amalfitano’s daughter & learns about the killings that have been going on there for years.Part 4, The part about the crimes. This book covers the killing of countless women, over decades in Santa Teresa & is based on the actual events in Juarez. It’s written as hardboiled fiction & reportage.The final part (5) follows the writer Archimboldi from his birth onwards, through the 2nd world war. In fact, through most of the 20 century (1920 – 2000) & along the way answers some of the questions that have been prodding you with a sharp stick. The impression 2666 is an unfulfilled love story, its a world war 2 epic, it’s science fiction, it’s horror, reportage, it’s a thriller, it’s a comedy, it’s a vision of hell. It’s also the vision St Thomas Aquinas had of heaven, where the righteous can enjoy their beatitude & the grace of god more richly by being granted a perfect sight of the damned.2666 is a nightmare that is beautiful & a dream that haunts the edges of your waking hours, you could take a set square & compass to it & describe it logically, but all you would end up with is a pile of words, scattered across your floor. 2666 is massive, a dark nothing out of which everything explodes – life, death, love & hate. This is the start of the universe & the inertia born of its dying. This is the black heart of the sun.Writers on BolanoArgentine novelist, Rodrigo Fresian, wrote “It doesn’t make much sense to read about 2666, one must read 2666” “He took what was there, as Joyce did with Ireland almost a century earlier – a broken society with a strange literary tradition. And he set about turning it on its head, using chaos, its unformed & unstable nature, its violence & making a myth out of that” –Colm tiobin“Anyone who has been young & in love & besotted with poetry, can’t help but respond to Bolano. He has a natural storytellers gift – but more important, he has the power to lend an extraordinary glamour to the activities of making love & making poetry” – Edmund White Bolano on Archimboldi – “The style was strange. The writing was clear & even transparent but the way the stories followed one after another didn’t lead anywhere: all that was left were the children, their parents, some animals, some neighbours & in the end, all that was really left was nature, a nature that dissolved little by little in a boiling cauldron until it vanished completely.” The conclusionOnce upon a time, three blind schoolchildren went to the zoo, on a project to understand Elephants. The First child went to the back of the elephant, to its hind leg. On feeling the leg he thought it was tall & strong like an Oak tree, in fact it reminded him of the trees that were used to build the ships that had sailed against the Armada (as he had learnt in history).The second child felt his way to the side of the creature, he realized that an Elephant was tall ,wide & as tough as stone, just like the castle (Camelot) he had read in his favourite book about King Arthur.Walking to the front of the elephant the third blind kid, grasped it by the trunk & was lifted clean off the ground. Once back down he thought how strong & sinuous an elephant was, like some large snake, maybe an Anaconda, just like his teacher had described when she talking about the Amazon.The next day at school, they described to their tutor what an Elephant was.One with his tall oak trees & the large warships, another with his castles & the tales of the round table & the third with the Boa- constrictor, all sinuous crushing strength. They talked & argued for most of the day, without reaching a definitive description of an Elephant.